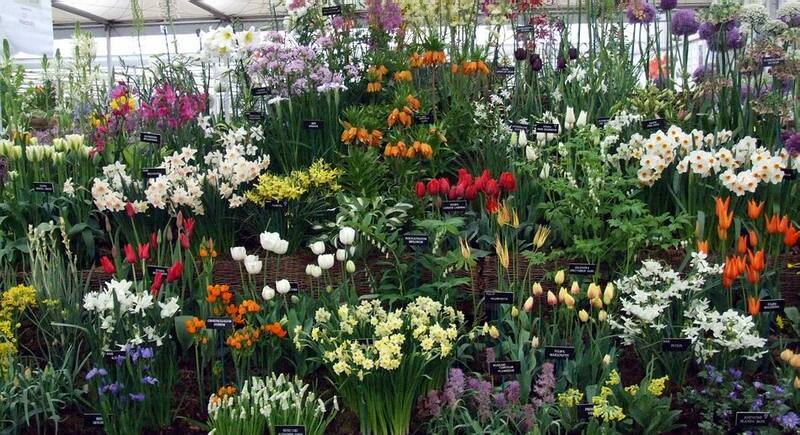 It is just as well that the bulbs have gone dormant as we have had such a busy week with the SRGC Aberdeen Show on Saturday, a house full of guests all weekend, working for the BBC on Sunday and then off to Chelsea on Monday, that I have had little time to look at them. 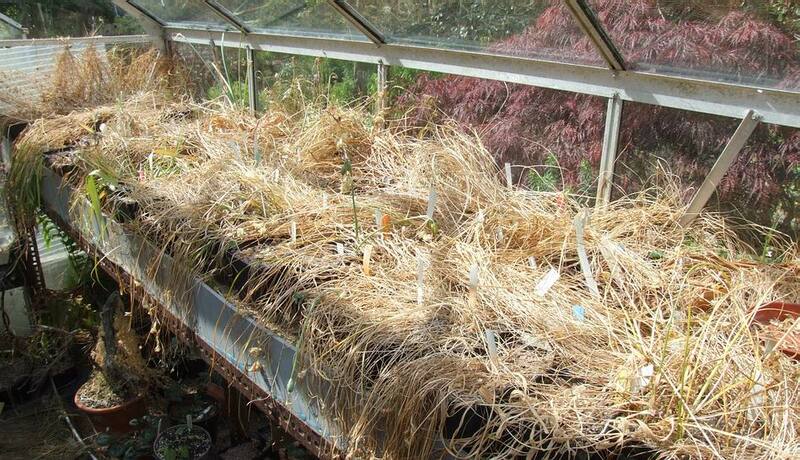 I did check the seed situation last week before we launched into our busy period and I removed many of the Narcissus stems with ripe pods on. It is perfectly acceptable to collect the seed at this stage: it is ripe, it is just a bit brown rather than black as you can see from the picture. 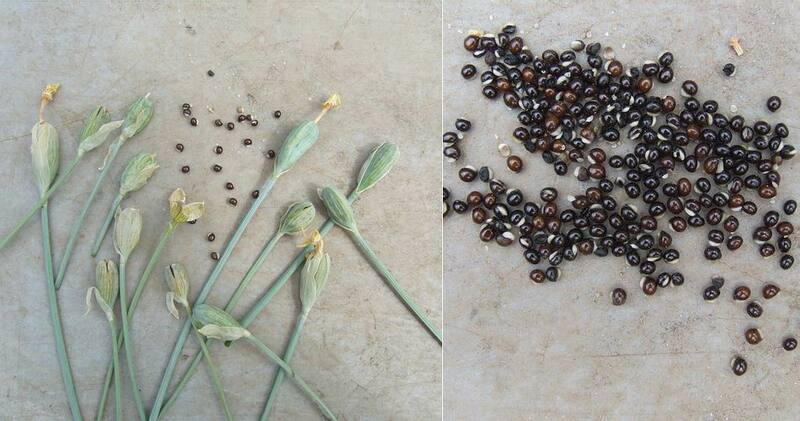 I will store this seed in dry sand until I sow it in September - more on this next week. 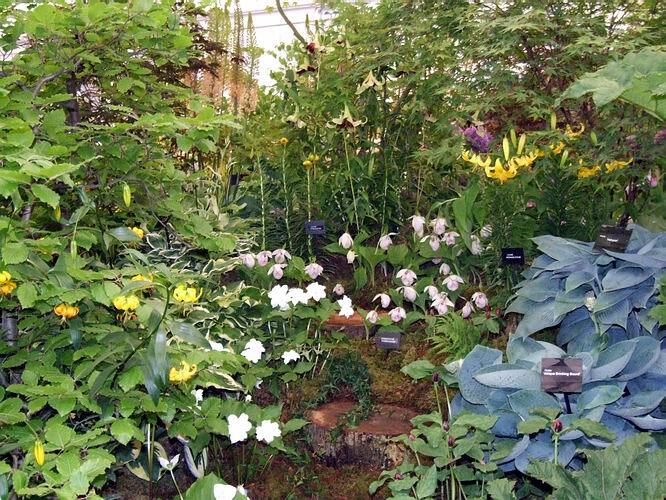 The lack of attention means that slugs have been eating some of the Chinese frits that are growing in an outside frame such as Fritillaria lixianensis and delavayi. Both are suffering slug damage and most annoying is that they have eaten the style and ovary of all my Fritillaria delavayi so there will be no chance of seed this year. I am not sure if this pretty small yellow flower I received some years ago as Fritillaria lixianensis is correctly named or not, so I would be interested for any comments. For the rest of this log I will share some of my Chelsea pictures with you. After the morning Joint Rock Plant Committee Meeting I head into the Floral Marquee to see my favourite stand in the show. Not surprisingly it features bulbs and it is the display of Jacques Amand International. 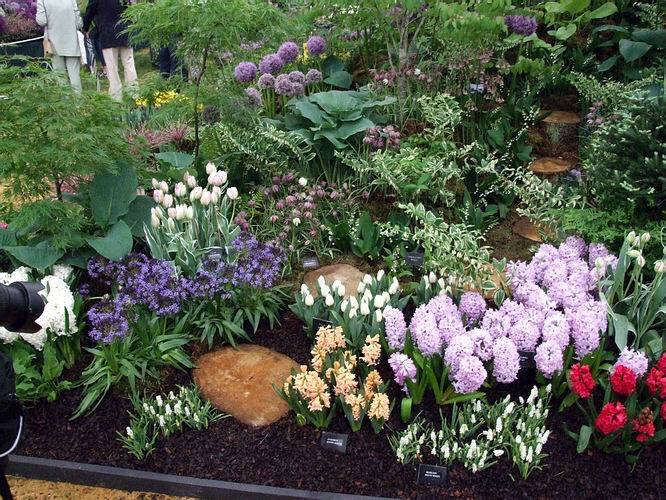 It is a very skilled process involving large refrigerated containers which allows them to display both summer and spring bulbs all together flowering, out of season, for the Chelsea Show. 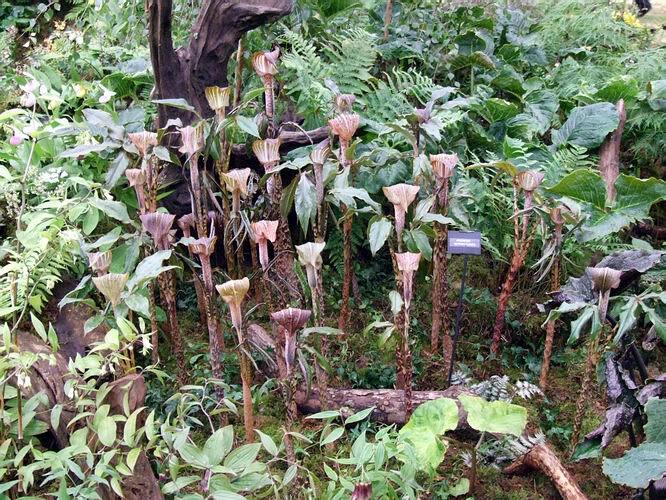 This display always features a host of both common and rare bulbs, all looking great and beautifully and tastefully displayed like this fantastic stand of Arisaema nepenthoides that any gardener would be delighted to have. 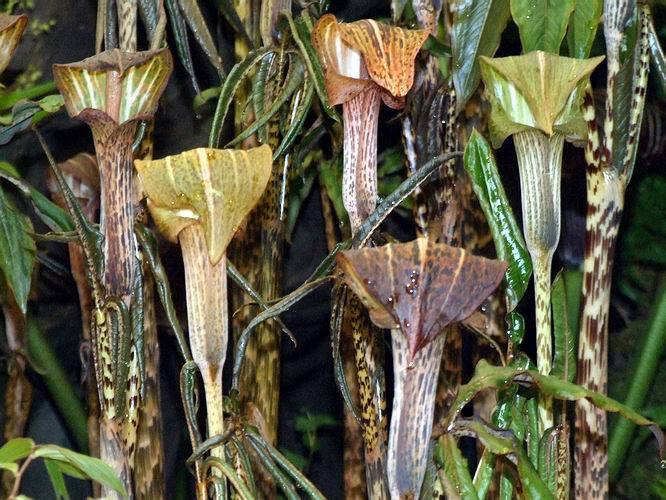 Getting in close lets you see the mysterious beauty of these flowers that always make me think they are like something straight from the Jurassic period. 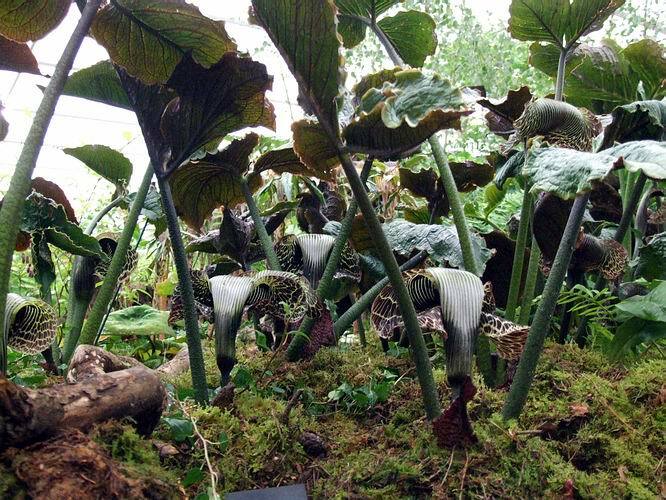 Plenty of Arisaema griffithii were also spread around this large display with a concentration towards one corner. 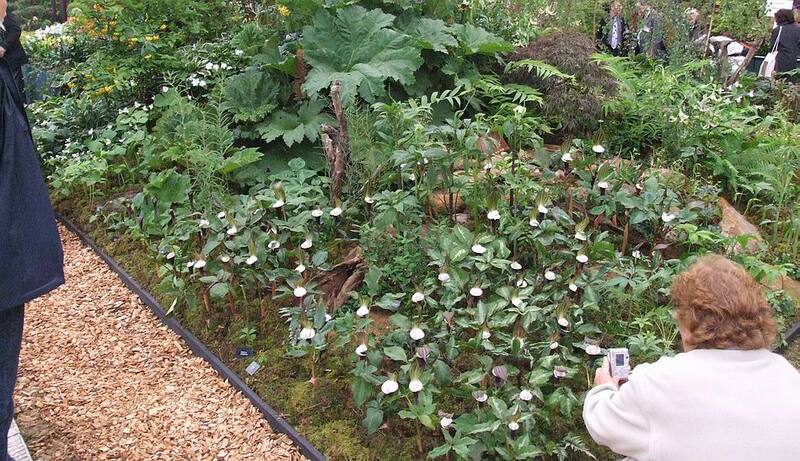 What about this mass planting of Arisaema sikokianum - fancy that in your garden? I do. 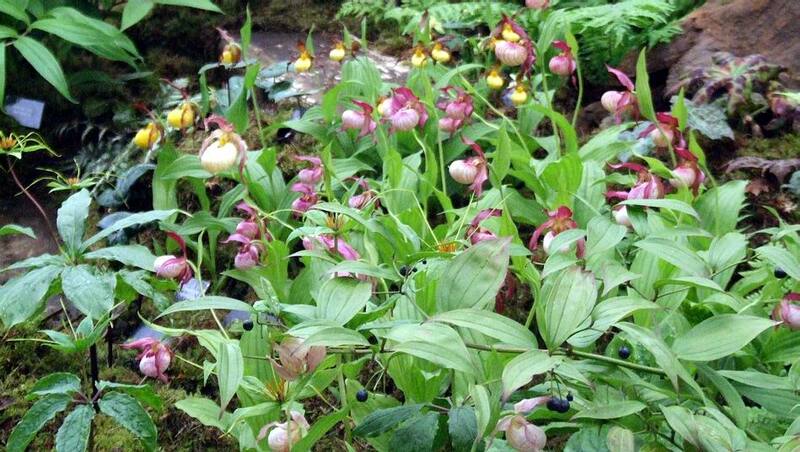 Plenty of trees and moss provide a naturalistic setting for Cypripediums and Lilies. 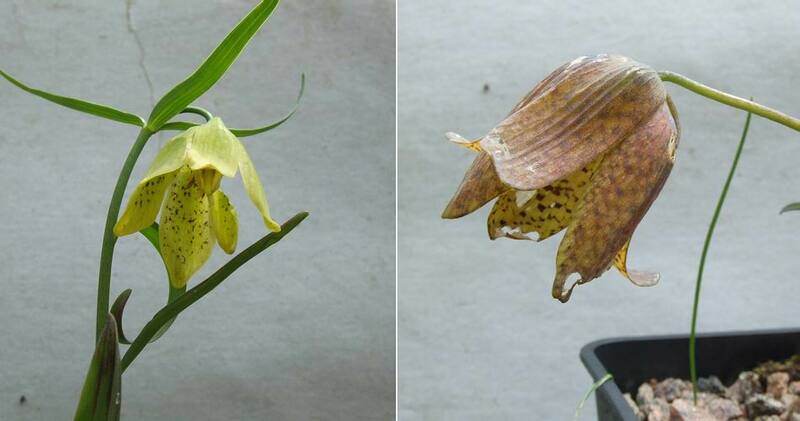 Cypripediums galore, both species and hybrids as well as a generous spattering of Paris species. 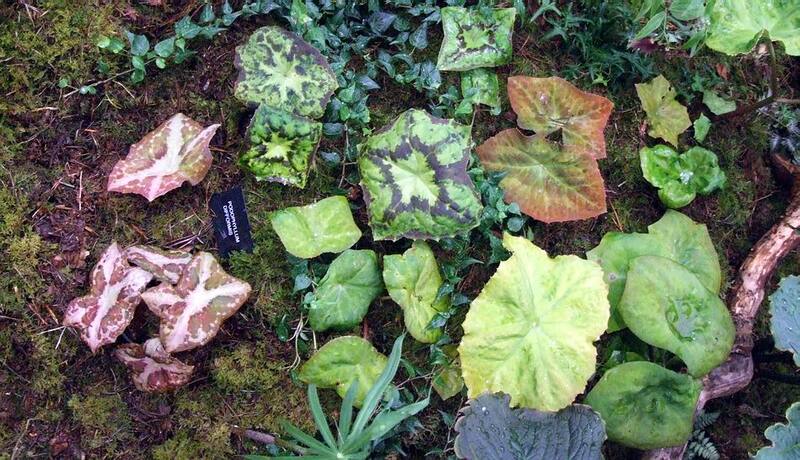 It was a small group of Podophyllum difformis that most attracted my attention with their unusual shaped leaves which had the most beautiful range of colours: these I want! 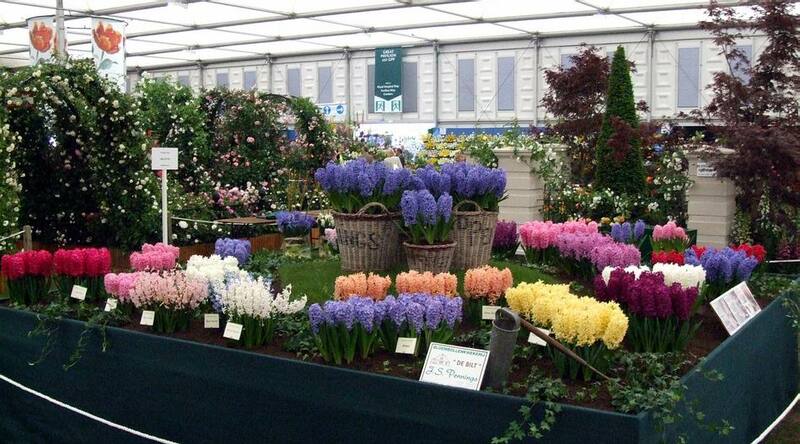 Moving on around the marquee I was struck by the visual power and strong sweet scent of this display of Hyacinths. 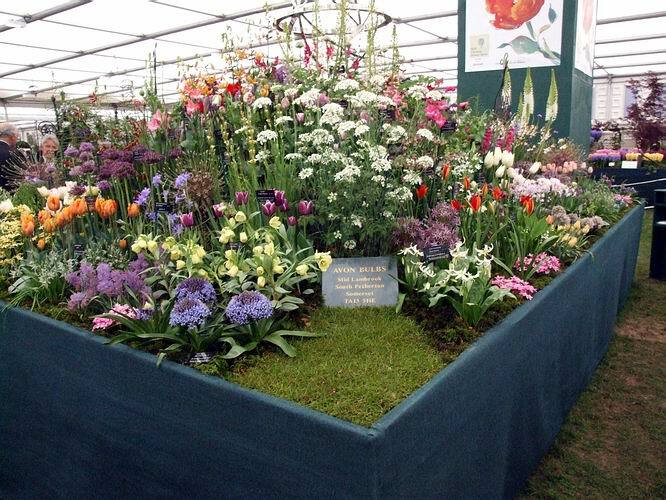 A very different display to the Amands but I do not think they could have been displayed to better effect to show of this old favourite - the first bulb I ever grew as a child. A number of other bulb sellers and growers had stands, such as Avon Bulbs. 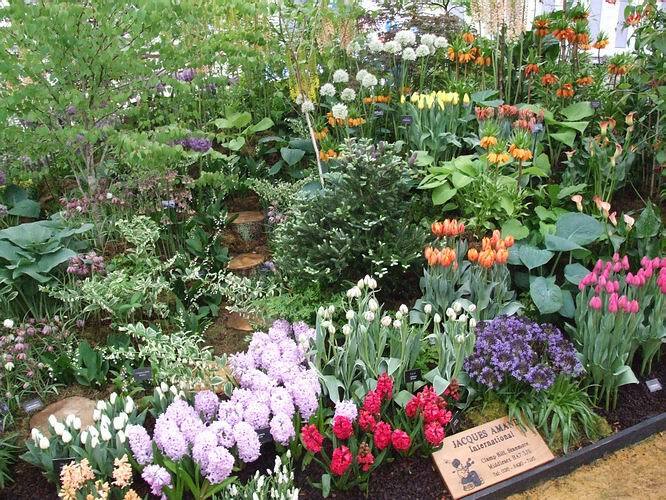 Their stands are much smaller than Amand's and displayed as a more formal arrangement but still containing a whole year's worth of flowering bulbs. Broadleigh Gardens another regular Chelsea exhibitor had a host of colourful bulbs to enjoy. 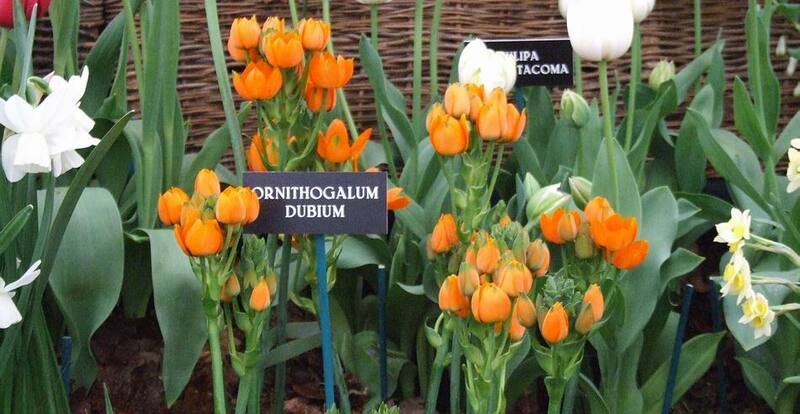 Their stand included the most unlikely Ornithogalum: if, like me, you are used to the small white and green jobs, this bright orange Ornithogalum dubium hits you in the eye. 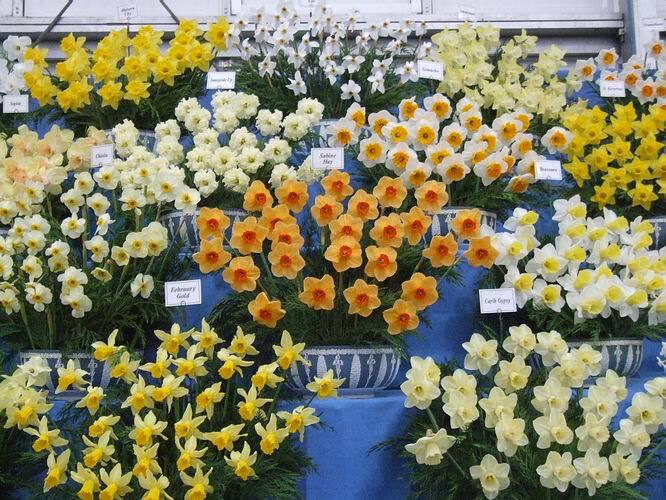 Masses of the standard daffodils in every shape and colour, as favoured by the Narcissus exhibitors, all have come out of cold store to produce this wonderful spectacle at Chelsea. 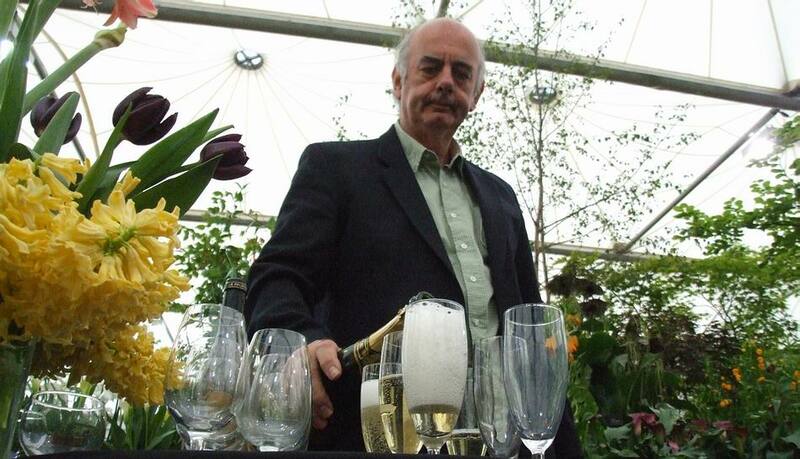 I will share a lot more of my Chelsea Pictures with you in the bulb log feed back pages of the forum as I get time to resize and post them but for now I leave you with a picture of big John Amand pouring a glass of champagne to celebrate the families' well earned Chelsea Gold Medal, cheers!